They are currently scheduled for release in January 2018. You can see photos of the figures after the jump. 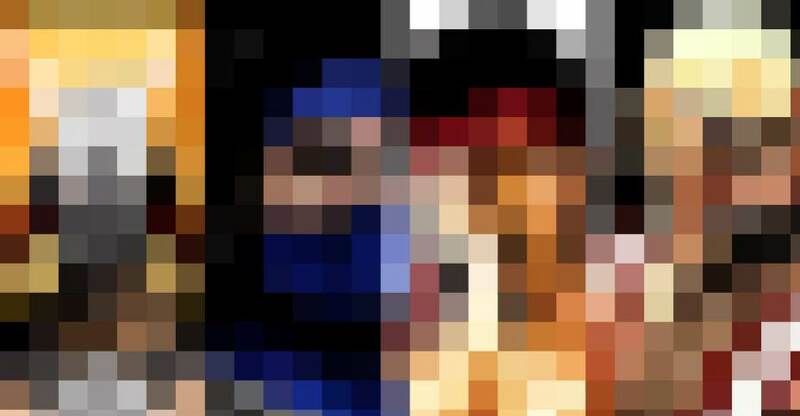 Storm Collectibles posted a very pixelated teaser image asking “Who’s Next” for their Mortal Kombat 1/12 scale figure line, and saying they’ll see fans at San Diego Comic-Con 2017. While the image itself is overly pixelated, it’s easy to see that the characters are Shao Kahn, Kitana, Liu Kang and Baraka. We will update as any additional info or images are released. Pop Culture Shock has sent out their weekly newsletter. In it, they share updates on their Mortal Kombat Kitana and Mileena 1/3 Scale Statues. The Kitana Statue goes up for pre-order today. 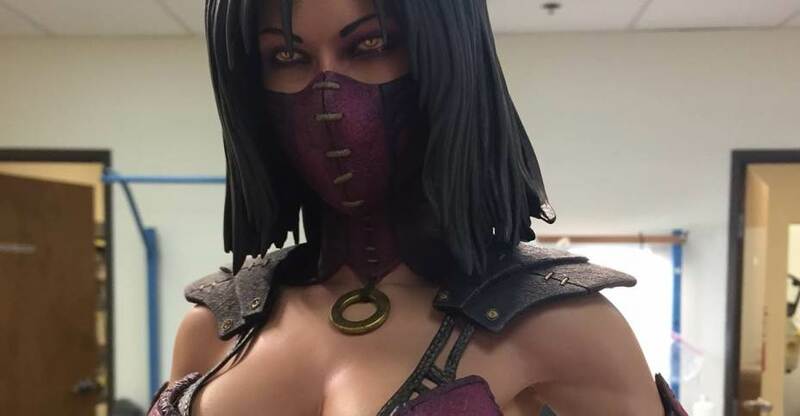 The Mileena Statue will be available to pre-order on December 12th. See more details below. FULL REVEAL PICS NEXT WEEK! You can see a few new images after the jump. Pop Culture Shock decided to drop some new photos a little early. 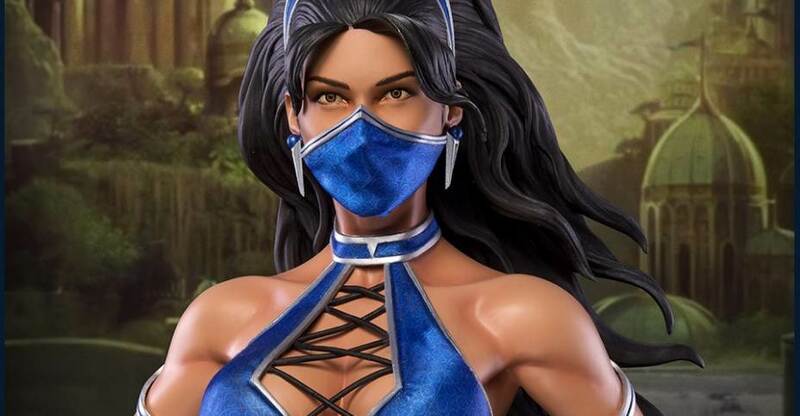 Fans can now check out the full reveal of the upcoming Mortal Kombat Kitana 1/3 Scale Statue. The statue will include an alternate unmasked head sculpt. Also included are swap out regular and bloody fans. Pre-orders go live on Monday, November 28th at PopCultureShockToys.com. Kitana will be priced at $629.99 (after the 10% pre-order discount) and will be limited to just 300 pieces The statue is scheduled to ship out at the end of February 2018. That’s not a typo, the figure is about 15 months away from release. On the Pop Culture Shock Facebook and Instagram Pages, fans are getting some new previews for upcoming Mortal Kombat Statues. They have released new previews of both Mortal Kombat 9 Kitana and Mortal Kombat X Mileena. Each of these are 1/3 scale statues. The Kitana statue stands at 28″ tall. It features a mix of sculpting and fabric outfit. Pre-orders go live on Monday, November 28th. The Mileena Statue will stand at 28″ tall. She will include both masked and unmasked portraits. Pre-order details have not yet been made available for Mileena. We will update when more official photos are released. You can see the images by reading on. 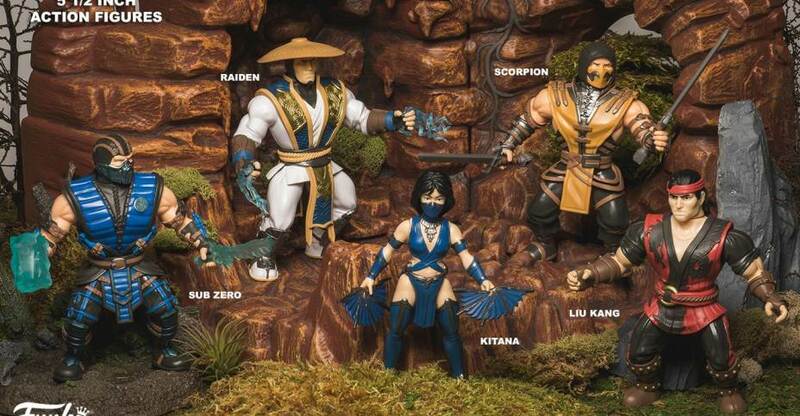 In the new Pop Culture Shock newsletter, they previewed a new Mortal Kombat Kitana Statue. 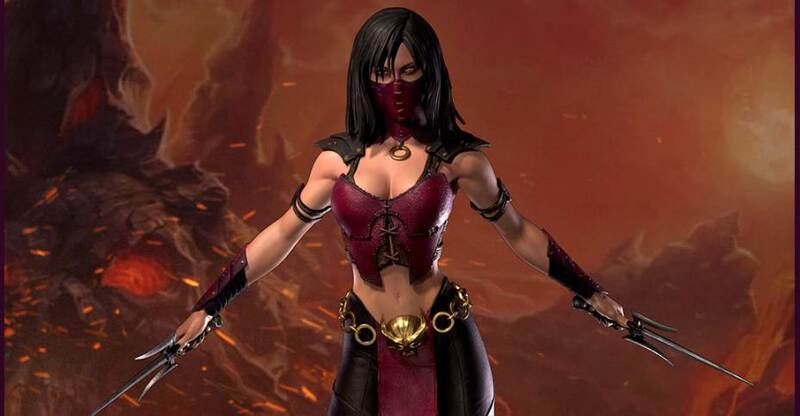 The statue looks to be based off her appearance in Mortal Kombat, the 2011 reboot also known as Mortal Kombat 9. This is still an early work in progress sculpt, so final sculpted details may be different. 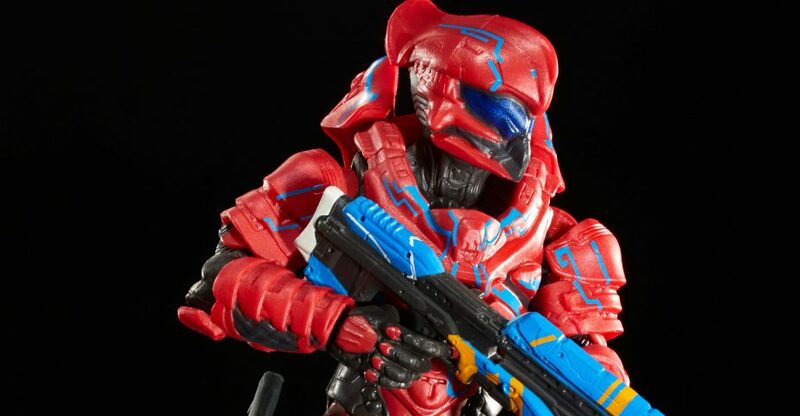 No word on release, pricing, scale or variations are available at this time. We will update as new photos and information for the statue become available. You can click the thumbnail for the full preview image. Star Trek – Barbie – Orion Slave Girl added to the list. Just so we have them all in one spot, we’ve mirrored the list and all the images they’ve sent. These are the largest and best quality images we’ve seen so far. Read on to check it out. 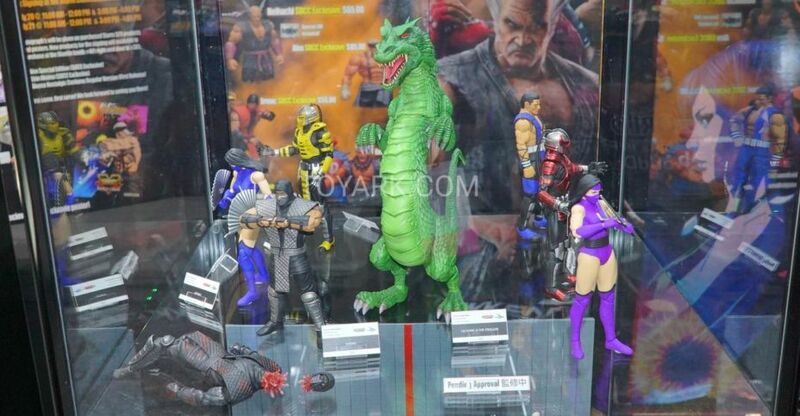 Mezco brought their Mortal Kombat X figures to New York Comic-Con 2015. Unfortunately, it doesn’t appear if they had anything new to share.